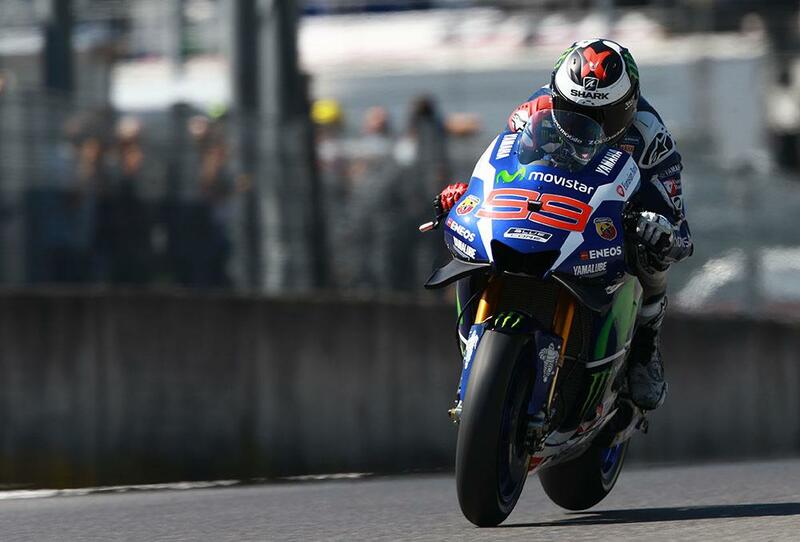 Jorge Lorenzo has taken an incredible race victory in Mugello, holding off a late charge from Marc Marquez to take the victory in the run to the chequered flag by only 0.065. Lorenzo and Rossi were the early battlers for the lead, but an unexpected engine problem – Yamaha’s second of the day after one blew on Lorenzo in warm-up – left the home favourite desolate at the side of the track. From there on in, it looked like a clear win for Lorenzo, but a charge by Marquez left him in the mix for the last four laps – and it went down to the wire, with the pair trading places multiple times on the last lap. Andrea Iannone won a battle with Dani Pedrosa for the last podium place behind them, after a mistake by Andrea Dovizioso left him out of the mix. Maverick Viñales finished fifth after rallying from a poor start, while Bradley Smith was the first satellite bike in sixth. Danilo Petrucci, Aleix Espargaro and wildcard Michele Pirro rounded out the top ten, while Cal Crutchlow made it to eleventh. Eugene Laverty was 13th, while Scott Redding suffered yet another mechanical DNF.